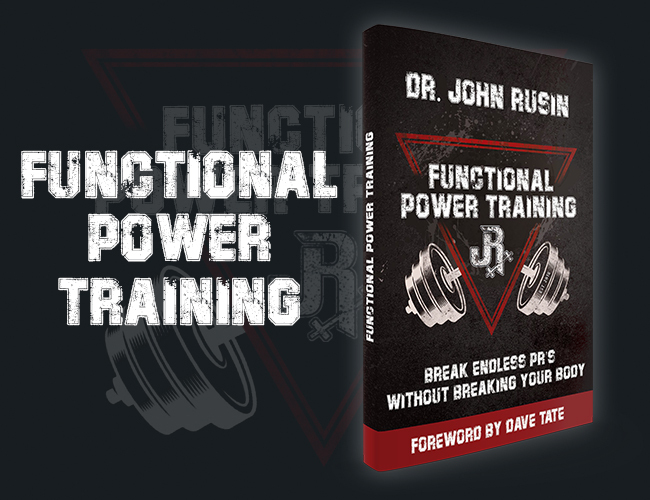 Instantly Break Pain-Free PR's in Your Bench, Squat and Deadlift. To my great relief, he simply wanted to congratulate me on the article, and I think he also joked “great minds think alike!” or something to that effect. It’s based on fundamental human movement patterns. 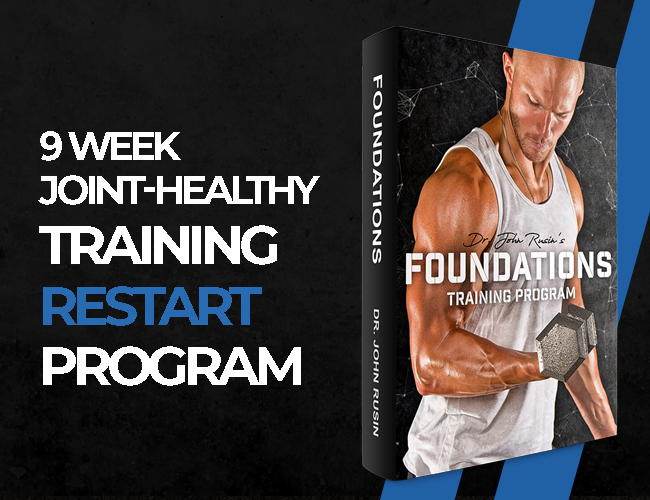 FHT employs 6 foundational movement patterns, while I’ve decided to consolidate human movement into a 4 primary pattern blueprint for the purpose of strength and muscle-building. For example, I decided to merge lunging and squatting into one single “squat” category. And while I love loaded carries, in my Primary Pattern Programming system, I reserve these for an “optional” exercise classification — more on that in a bit. 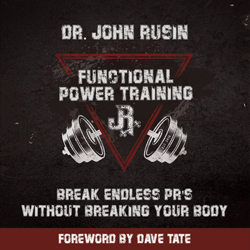 To the best of my knowledge, I believe Dr. John would tell you that if your lifting program is on point, you shouldn’t need to do much in the way of additional mobility work and/or correctives. Again, great minds think alike apparently, because I totally agree. Despite point #2 above, I suspect that FHT has more of a “health” emphasis than does Primary Pattern programming which is designed solely for strength and muscular adaptations. Mind you, I think Primary Pattern Programming has a few built-in systems that will tend to keep you out of Rusin’s office, but suffice it to say that I’m not a rehab expert by any means. Finally, neither John or myself “invented” the idea of movement patterns. We simply both recognize the value of this concept, and we both created a training program around the idea. That’s how most people should train in my opinion. And by “most,” my assumption is that you’re primarily interested in gaining muscle, getting stronger, and obtaining these benefits with a minimal expenditure of resources and staying injury free in the process. I train this way myself in fact. My last training session was a 4-exercise circuit that included split squats, weighted pushups, back extensions, and suspension rows. These 4 drills represent four “primary” human movement patterns: squat, push, hinge, and pull. When your workouts are built around these 4 categories of movement, you’ll be training a maximum number of muscles with a minimum number of exercises, with little to no redundancy. After the 4 “compulsories,” you can also do 1-2 additional “optional” exercises that you either need or like, but that don’t fit neatly into any of the 4 patterns. This could be anything from direct arm, ab, or calf work, to power cleans, to loaded carries. When your workouts look like this, you can be assured that you won’t “fall off the rails” as I often joke to my clients — the majority of your training sessions will be based on the proven standards. Yet at the same time, you’ll have enough flexibility to address your individual likes and needs — no exercise is mandatory, or prohibited. The perfect blend of structure and flexibility. First, it’s more time and energy-efficient. Second, circuit training prevents any single exercise or pattern to receive the brunt of your energy. When people train in “station” style, they’ll typically have injuries and/or pain associated with the first exercise they normally do. Case in point: guys with shoulder pain who always start with bench pressing on their upper body workouts. If gym traffic or other issues prevent a 4-exercise circuit, try two “mini” circuits of two exercises each. Although I use 4 primary pattern categories, some coaches use 5 or even 6 — don’t allow yourself lose sight of the core idea. I combine the “lunge” and “squat” patterns into a single “squat” category, while other coaches distinguish between them. Both approaches are valid and effective — even though I don’t use a “carry” pattern for example, you can (and probably should) do loaded carries as an optional exercise. If, during your last workout, your “squat” exercise was (for example) a barbell squat, try to make your squat exercise on the next workout as different as possible — perhaps a lunge or maybe even a leg press. If your last pull exercise was a pull-up, consider doing some type of row for your next workout, and so on and so forth. Same goes for hinge and pull — make neighboring workouts as different as possible, given the confines of the Primary Pattern Programming structure. The only exception to this might be someone who, for whatever reason, is trying to improve skill and/or strength in a specific exercise: in that case, feel free to (for example) do front squat for most or even all workouts as your “squat” movement. Make the most of optional exercises! If your biceps are lacking and pulling movements don’t seem to be enough to develop them, by all means do curls. If you want bigger calves, use your optionals for calf raises. If you love sled-pushing, be my guest! Use your optionals for things you need and/or like (it’s important to like your workouts incidentally). About that term “optional:” I first came up with this idea when I was training at a weightlifting gym in my 40’s — I’d walk in and my coach would hand me my workout which (usually) had about 8 exercises, and all of them super-challenging (for me anyway). Despite my intense love for training, I often felt overwhelmed. I figured if this could happen to me, it certainly could happen to my clients. So I devised a “compulsory/optional” exercise classification system: in Primary Pattern Programming, you’ll have up to 6 total exercises per workout, but only 4 are “compulsory.” This helps to take the stress off of the situation — and more times than not, one you’ve done your compulsories, you’ll probably do the optionals a well. And if you don’t, that’s OK because you’ve already down what’s most meaningful. If you prefer to train “upper/lower” style, no problem at all: each lower-body session should be composed of (2) squat and (2) hinge movements, and each upper-body session will include (2) pushes and (2) pulls. Reps/loads should be chosen based on training goals: If strength if your objective, perform sets of between 1-5 reps with commensurate loads (and also be sure to pick exercises that are appropriate for heavy loading of course). 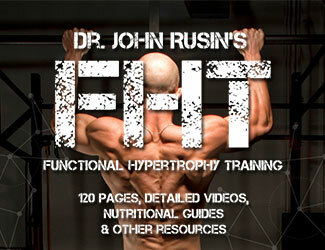 If muscle hypertrophy is the goal, perform sets of perhaps 6-12 reps. If you happen to like “intensification” techniques such as drop sets, rest-pause, slow tempos, etc., feel free to use them in your PPP sessions. You like a specific type of warmup, mobility, and/or “activation” routine before your workout? Fine with me! Charles Staley calls himself “The oldest, skinniest guy you’ll ever see deadlifting 500 pounds.” More seriously, Charles is known as an iconoclast and a leading influencer in the fitness arena. His reputation and self-effacing style have lead to appearances on NBC’s The TODAY Show and The CBS Early Show, along with numerous radio and podcast appearances. He has authored more than 1000 articles for leading fitness publications and websites, and has lectured to eager audiences around the World. Charles is not only a thinker, but also a doer: At age 58, he competes in the sport of raw powerlifting, and is a 3-time World Champion (220 and 198-pound weight classes). His popular Staley Strategies online coaching program allows people to train under his expert guidance, regardless of where they live. I do something similar just using a cube method for prescribing load. I personally have found it imperitive to strategically select and stick to the “optional” exercises based on injury rehab or need for postural balance. That’s just me though. Love you both are speaking some common sense on the “corrective exercise” topic. I fell into that trap a few years back and found myself spending 45 mins on warm up and feeling worse off in the end. Coach , do you recommend keeping the set and rep scheme consistent week to week? Thanks for the great article. Brian, this depends on a number of factors, but generally, I recommend using 4-6 week training “blocks” where you do the same number of reps per set. This way, it’s easier to accurately determine whether or not you’re really making progress. As for sets, over the course of a training block, I like to gradually increase total volume from week to week, so ideally, I’d recommend adding a set each week as well. Hope that helps! Thanks for responding coach . With the constant change in exercises workout to workout, how do you exactly track your progress ? Would you use the same squat movement exercise for the first workout in block or phase 1 and then again for the first workout in block or phase 2 with the change in set and load ? Yes exactly, whenever you’re doing a specific exercise, you want to compare your performance to the LAST time you did that exercise, whether that happened earlier in the week, or a few months ago. I read that reps are determined by goal. Strength vs hypertrophy but what amount the number of sets ? How many 69 year old men do you have doing the full body primary pattern training? I wonder if training legs three times a week is a good idea for an old guy. Maybe sore knees? Search any term, we’re likely to have an article for it.